Sara is an experienced executive coach, mentor and facilitator. Since 2002, she has coached C-Suite Executives, Senior V.P.s and emerging leaders in a range of industries including financial services, energy and resources, pharmaceuticals, not for profit, and family-owned businesses. Sara has also facilitated teams to help them clarify vision, strategy and accountabilities. She has twice won the Prism Award for leadership excellence delivered through an integrated coaching program in two organizations. Sara started her career in the airline industry and then worked in telecommunications in Canada and the U.S. She was Vice President of Call Centre Operations for Rogers Communications. More recently, she spent five years on the faculty at Adler International Learning. In this job she trained and examined new professional coaches in Canada, the U.S. and Europe. She has worked extensively abroad and gained significant experience in diverse environments. Sara also works with people who have experienced addiction in their families both as a volunteer and through her own private practice. She knows there is a way forward for family members to detach from the fallout of living with someone with an addiction. Sara holds a degree in English Literature from York University and has studied counselling psychology, neuroleadership and the science of addiction. 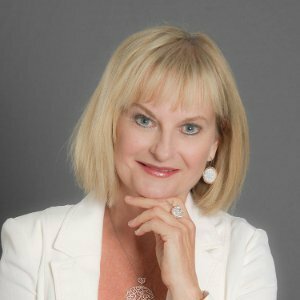 She is a Graduate of Adler International Learning Inc., and holds her designation as a Professional Certified Coach (P.C.C.) from The International Coach Federation. Sara is certified to administer the Bar-On EQ-I (Emotional Quotient Inventory) and the Pathfinder Career Assessment, a tool that measures leadership behavioural style and best career fit. She is also certified to administer The Team Diagnostic and has trained at the Centre for Right Relationship Organization Relationship Systems Course (ORSC), a systems and team coaching program. Sara has also studied Presence Based Coaching through the School of Presence Based Leadership Development.